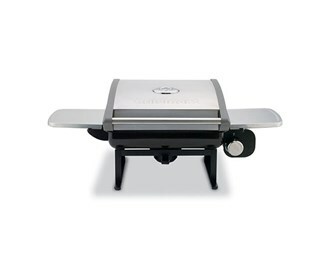 The Cuisinart CGG-200 is a all-foods tabletop outdoor LP gas grill. It features unique versatile modular grill surface system, which is a series of interchangeable specialized grill panels suited to frequently grilled foods, such as veggies, breads, pizzas and delicate foods. The panels mate securely to the cooking surface, yet remove quickly and easily for cleaning and storage. 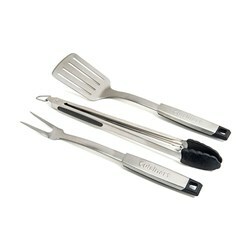 The Veggie Panel comes with the grill, and others are sold separately. 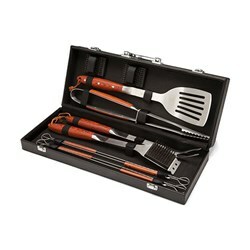 The grill is compact in size, making it ideal for smaller yards and patios, and with hide-away stainless steel shelves and carry handles, is convenient to carry to the game or beach. The reliable TwistStart electric ignition, a 12,000 BTU stainless steel loop burner, an integrated precision temperature gauge and a removable drip tray, all making this grill suitable for everyday cooking. 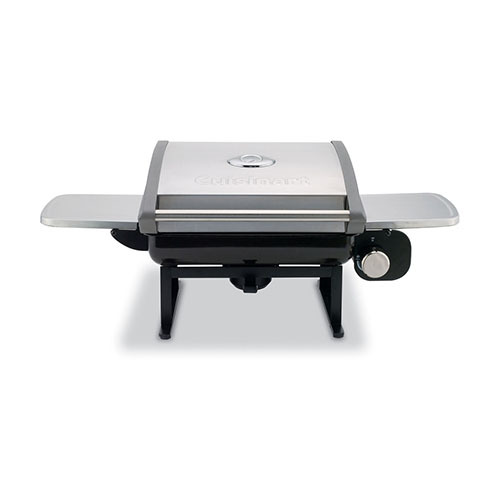 The Cuisinart All Foods Gas Grill has many exciting features for users of all types. 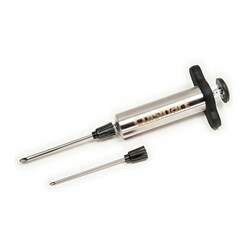 You can extend the lifetime of your Cuisinart All Foods Gas Grill with the purchase of a FactoryOutletStore Factory Protection Plan. 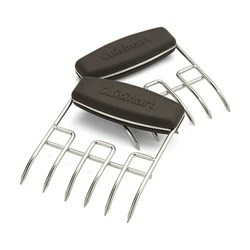 See the Cuisinart All Foods Gas Grill gallery images above for more product views. 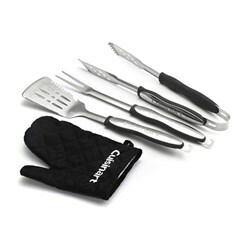 FactoryOutletStore stocks a full line of accessories like Cuisinart 10-Piece Premium Grilling Set, Cuisinart 3-Piece Grilling Tool Set with Grill Glove, and Cuisinart 3-Piece Professional Grill Tool Set for the Cuisinart All Foods Gas Grill. 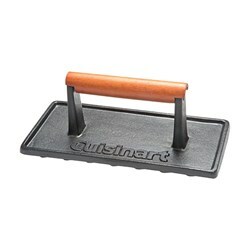 The Cuisinart All Foods Gas Grill is sold as a Brand New Unopened Item.